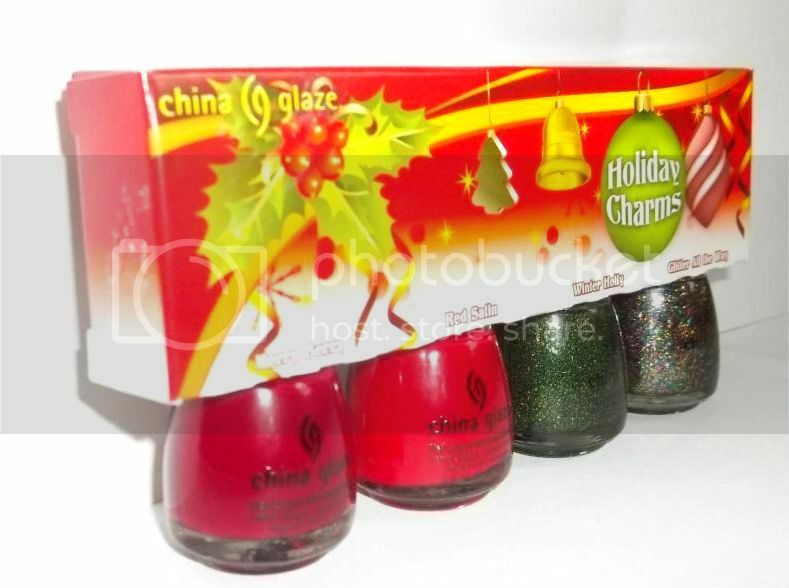 I was at Sally's Beauty Supply when I saw this adorable little China Glaze Gift Set. I've been really loving their Holiday Collection, so my mom picked this up for me. They had other gift sets, but this is the one I decided on. It retails for $9.99, but if you have a Sally Beauty Card it's $8.99, which is definitely a steal! Now, here are the swatches! This is two coats of each color, and 1 coat of Seche Vite. The two reds are pretty opaque in one coat, which is surprising. Red Satin in a true red creme, and it the one on my pointer finger. 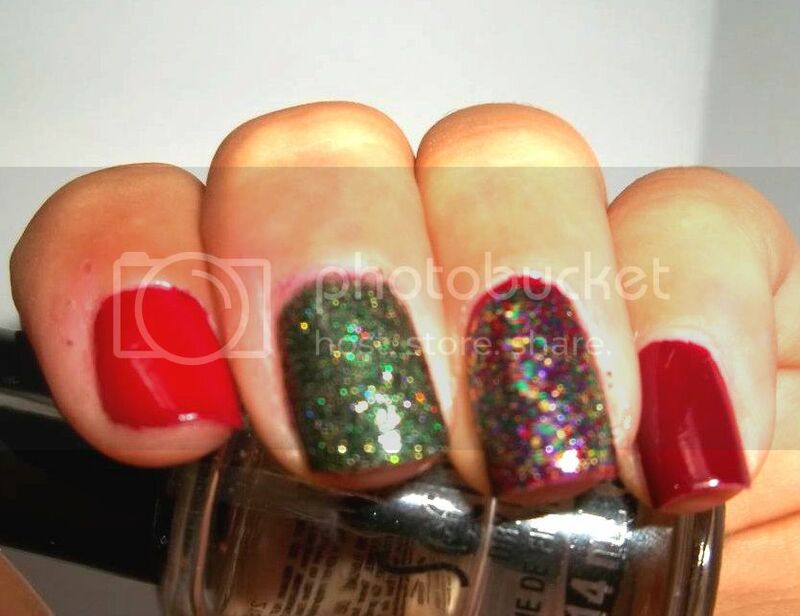 Winter Holly is a great green glitter with holographic glitter mixed in. 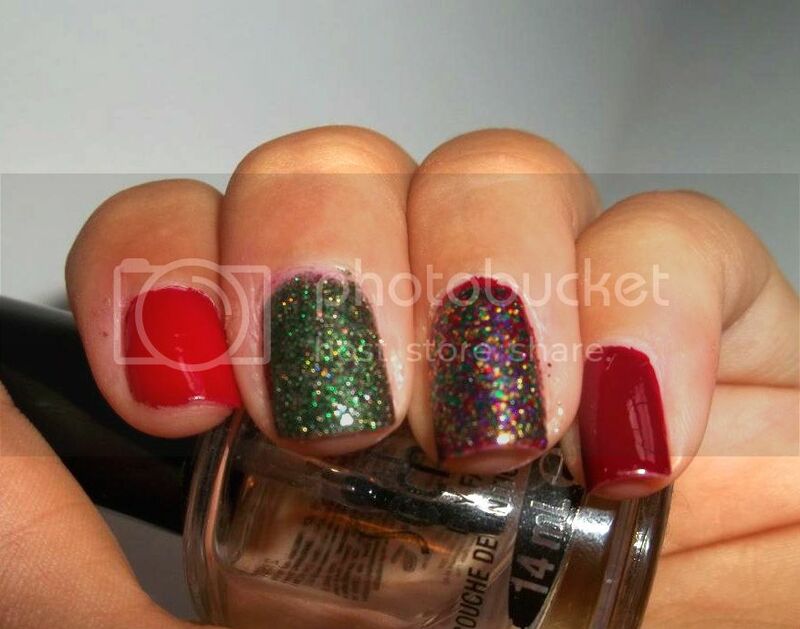 Glitter all the way is a rainbow glitter polish, that seems to have more gold and green glitter than other colors. 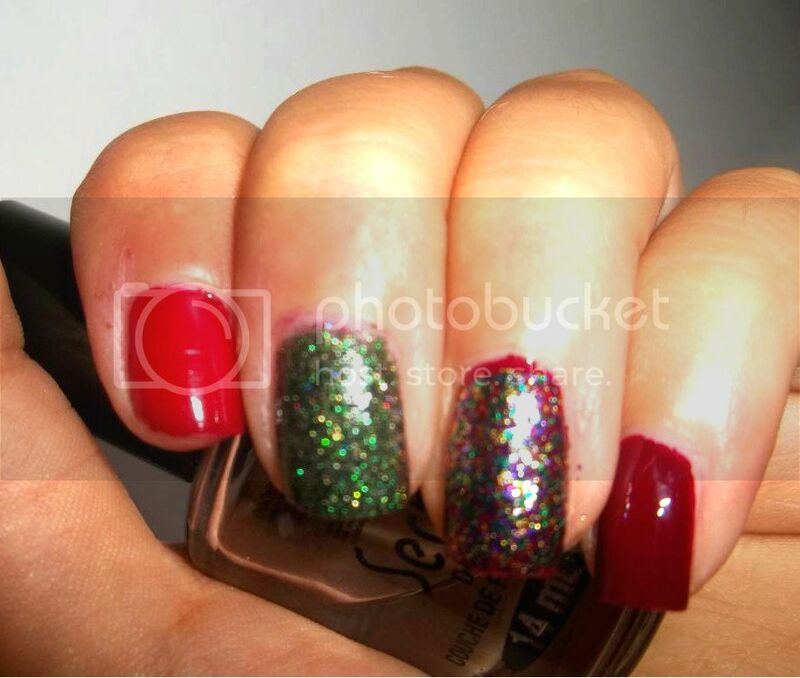 Merry Berry is a deeper red creme, more of an oxblood color, similar to Essie Skirting the Issue. 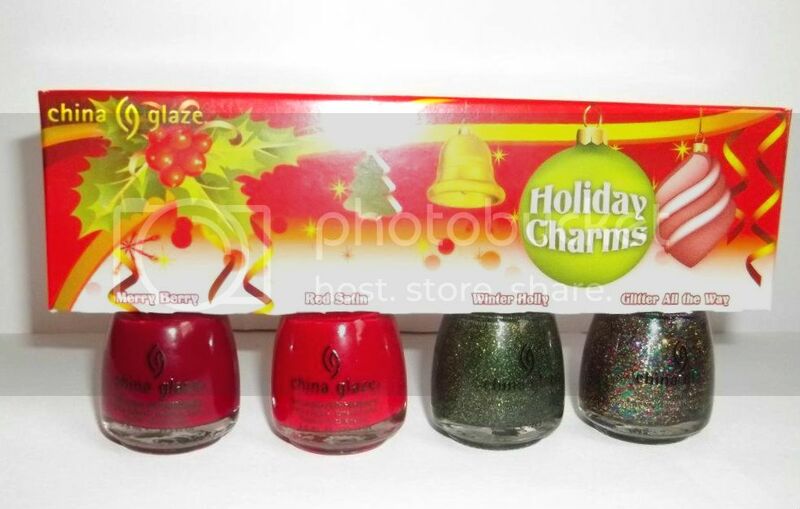 These colors, of course, are the typical China Glaze formula, meaning that it's amazing. 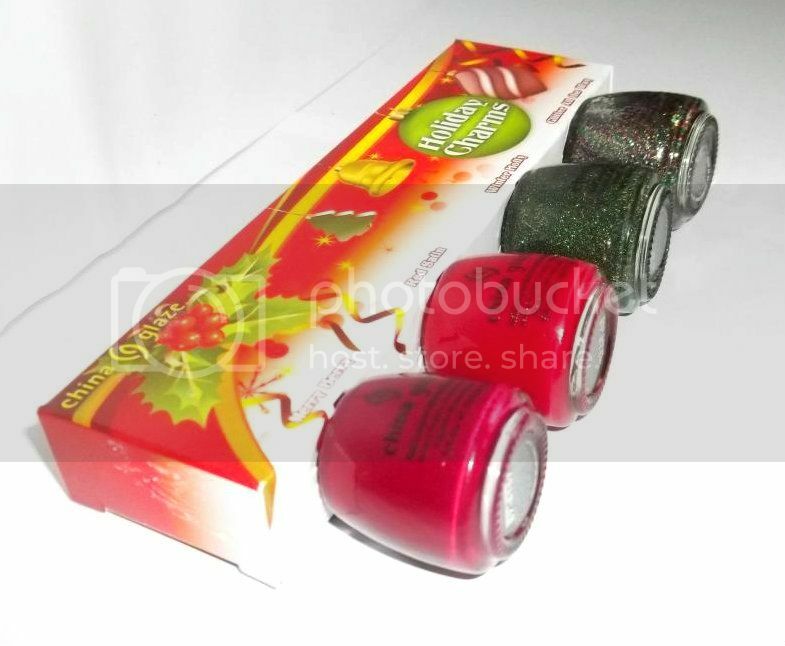 It's very pigmented, smooth and dries quickly. I love the brush as well. Btw, my nails are in TERRIBLE condition. They're uneven and peeling, and a few have broken off too short to be evened up, which is why my nails look as terrible as they do. They have not recovered from the acrylics I had, so please, ignore my horrid nail condition! If you'd be interested in Guest posting on my blog, let me know!